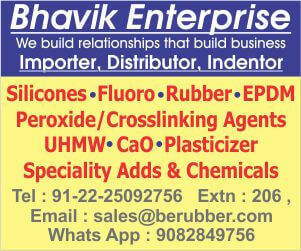 Professionally Managed Premier Organisation Powering Growth Of India Through Plastics. 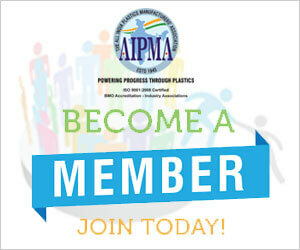 AIPMA Shall Passionately Strive to Lead Indian Plastics Industry to Process 20 kg Of Plastic Per Head By 2020. Leveraging Knowledge And Innovation For Inclusive Growth. 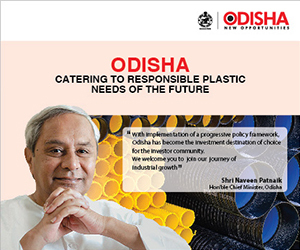 Information relating to plastic industry at your door step through email / website /circulars etc. 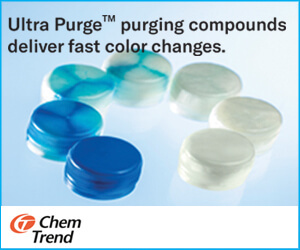 Confessional Tariff for National and International Delegations like Chinaplas, K Fair, NPE etc. 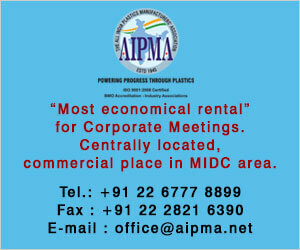 Concessional fees for AIPMA members for Seminars, Conferences, Workshops Factory visits, and such other industry related activities organized by AIPMA. 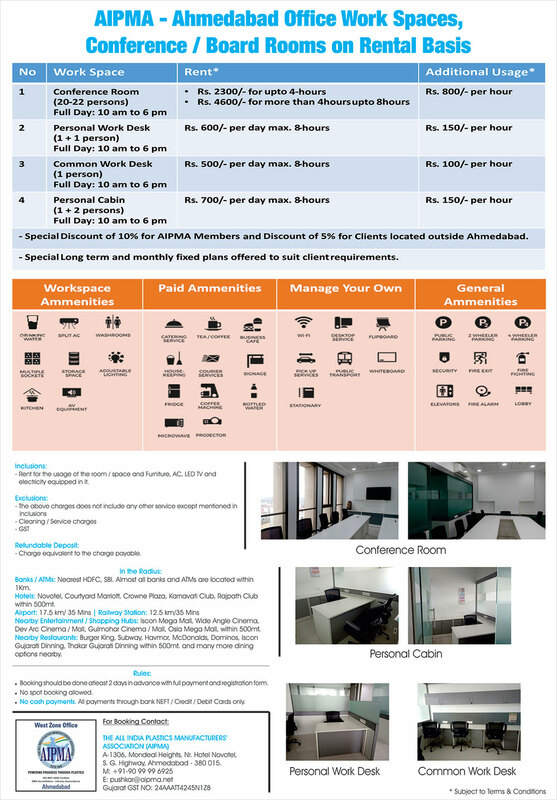 Facility for utility of Business Centers and other venue at AIPMA House at Nominal Tariff rates. 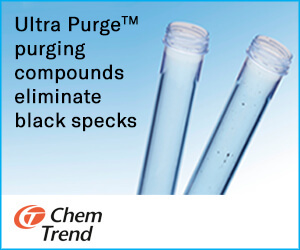 Web Barmer Advertisement with a link to Members' website at Concessional rate. 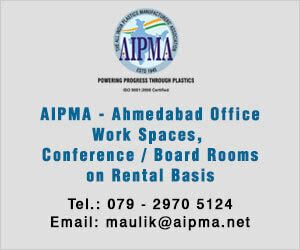 In-house Reference Plastic Library for members. 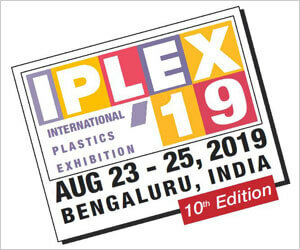 Concessional tariff for participation in Plastiworld, Plastivision Arabia and Plastivision India Exhibitions Networking platform to meet industry, Colleagues. MOD with many countries for sharing information & supporting bilateral trade. 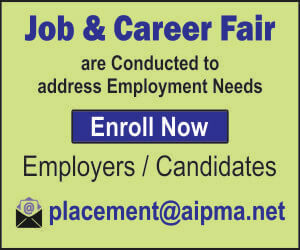 Job Fair to address employment. 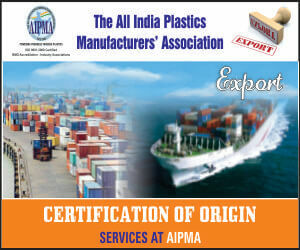 AIPMA is Catalyst for growth of Plastic Industry. We are stronger together.